Lynn, originally from Glasgow, has experience skiing for almost three decades as an athlete, a coach, an instructor and always for fun. She teaches skiing all year round, working with clients of all ages from beginners to competitive athletes, enjoying the variety that each session brings. Lynn represented Great Britain on the International race circuit from an early age as a member of the British Children's, Youth and then Senior Ski Teams. During this time, she won 17 British Champion titles and achieved many international podiums. After retiring as a racer, Lynn spent 4 years as the Head Coach of the British Ski Academy, she also coached the British Children's team, and was awarded the UKCP Children's coach of the year in 2011. When Lynn completed her BASI International Ski Teaching Diploma, she earned her French Equivalence and moved to instruct skiing full time in Val d'Isere, where she has been based for the past 6 years. Lynn now enjoys working with many different skiers and her teaching roles depict that. 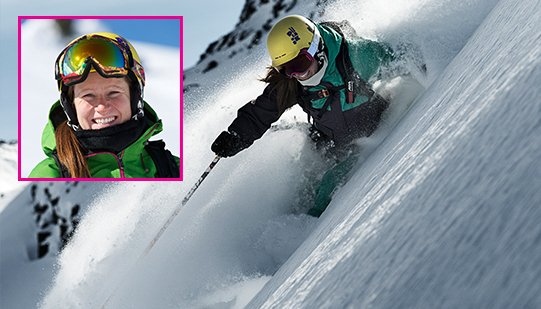 As well as her private clients, who range from beginners to powder hunters, she is also a BASI trainer and a coach for the British Parasnowsport Development Team.